Dirty Computer is quite a shift to the left from an already innovative artist. It takes Janelle Monáe out of her comfort zone as the Archandroid Cindi Mayweather and back into her own skin. Electric Lady already set something of the direction of this album, but committing to it fully was a brave move for Janelle Monáe and one that has worked extremely well. It’s a perennial shame that Janelle Monáe’s music doesn’t get the recognition it deserves. Her genre-bending sound is unquestionably unique, but despite “Yoga” briefly flirting with crossover appeal before Jidenna truly broke out for himself with “Classic Man” and a quick cameo on the summer hit “We Are Young” with fun. she has yet to find an audience of the size that her music deserves. Now however, after a successful sojourn in acting and possibly the friendliest of her albums, she seems poised to correct that circumstance. Additionally, she’s delved deeper into the funk of Prince, who sadly died while mentoring this exact album and the dirtiness and sexiness that results is absolutely excellent. “Make Me Feel” is exactly the kind of music that Prince would have made were he still alive and the up-beat pop of “Screwed” is much better for the funk running through it. In fact, there is very little in the form of exceptions to the high standard of music here. The singles in particular are all fantastic. “Pynk” is very clever pop that takes the completely unexpected and makes it feel natural and similarly the sheer musical scope of “Django Jane” is impressive. I simply love the storytelling of “I Like That” and its beautiful chorus. Her soft politics are a welcome addition to the album. The messages of inclusivity gain a lot of weight due to Janelle Monáe herself and the stakes she brings to the table. Lines like “I am not America’s nightmare, I am the American dream” are all the right kinds of assertive. While there is nothing particularly groundbreaking in what she has to say, given the rest of politics and music right now, I’m not going to complain. The one complaint that I do have about this album though is just in the lack of an absolute stand-out song like “Many Moons” or “Dance or Die.” Her voice is a little more restrained than in her early albums and I also miss the big brass of before. However, were it not for the strength of her previous albums, this would be a deeply unfair criticism. This is an excellent album and well worth your time. Seeing Janelle Monáe quite so confident is inspiring and I’m really excited to see what comes next in this new phase of her career. As I have said multiple times before, I really like Janelle Monáe. She’s smart, imaginative and energetic. Her music is rarely short of excellent. Also, her live performances are incredible. So, when salesforce.com sponsored a free show of hers to celebrate their 15th anniversary and accompanying food drive, I jumped at the chance to see her live again. This may have been a free show, but it was certainly treated like any other. It opened with an overture leading into her entrance onstage in a straightjacket to follow the Palace of the Dogs narrative that she’s spent the better part of the last decade setting up. From there, she jumped straight into a solo “Givin’ Em What They Want” that never seemed to miss Prince at all. Janelle Monáe was clearly able to supply everything anyone could need all by herself. The show was a mixture of hits from all over her discography. “Dance Apocalyptic” led into “Sincerely, Jane” flawlessly. “Electric Lady” saw her moonwalk across the entire stage, and was followed with covers of the Jackson 5’s “I Want You Back” and “ABC”. “Q.U.E.E.N” saw her do both her own and Erykah Badu’s parts of the song, but sadly “Tightrope” did not include a stab at Big Boi’s rap. As ever, the show closed with a very extended “Come Alive” jam. Janelle Monáe is one of my favorite people to see live. Her sincerity and enthusiasm are absolutely unparalleled. Her shows are meticulously produced and her stage presence is staggering. There are very few performers with her talent working today. She sets quite the high bar for her competition and shows like this one consistently do the impossible. They push that bar higher. It’s been a pretty full year for music and now as it comes to an end, it’s time to separate the gods from the frauds. These are the five albums that struck deepest within me. Janelle Monáe is a hard person to describe. Adjectives flow easily; inventive, bold, imaginative, talented, but as she proudly states, she defies every label. The Electric Lady makes parts four and five of her seven part science fiction concept album series and lives up to the high standard of the previous entries. This albums sees her a little more free and a little more comfortable than in her previous work. While The ArchAndroid is still definitely the better album, the soul that fills the second half of The Electric Lady is still wonderful. 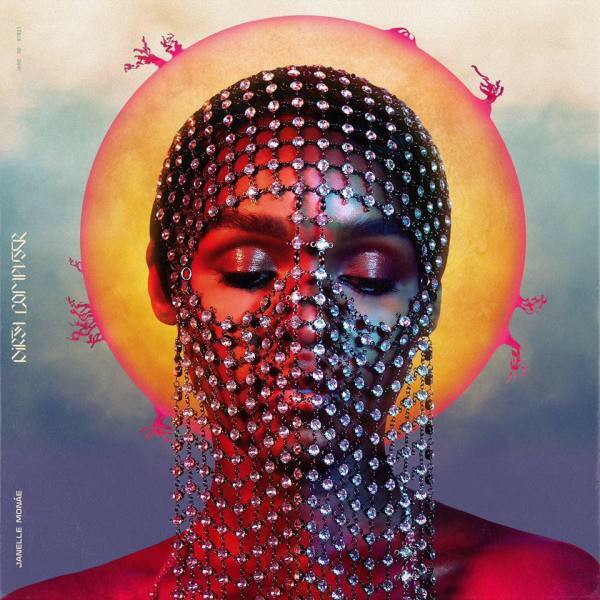 Janelle Monáe has consistently been one of the most interesting people in music since Metropolis: Suite I (The Chase) was released in 2007 and The Electric Lady does nothing but reinforce her already solid status. 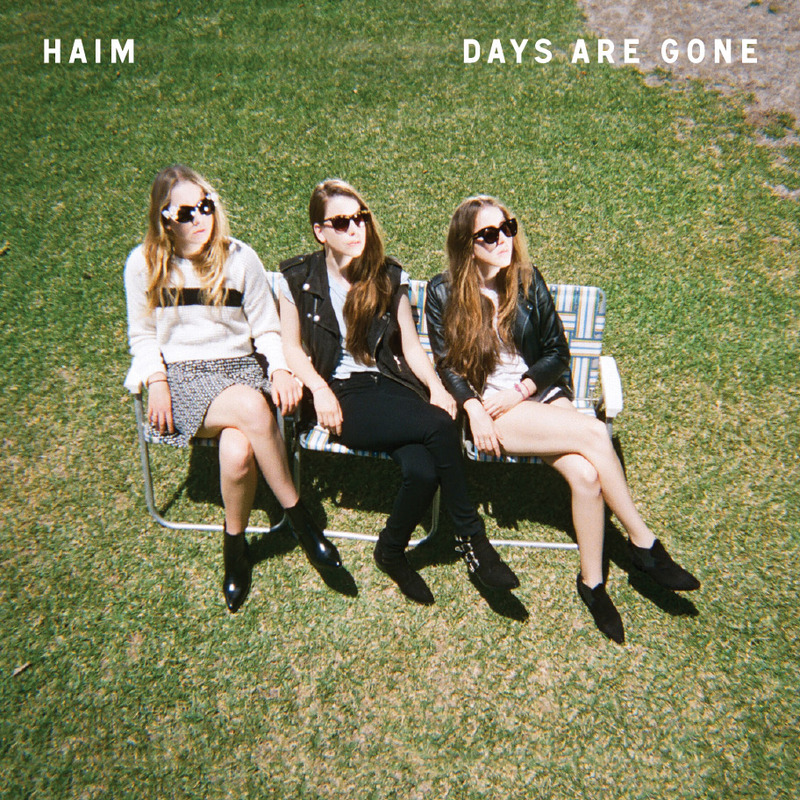 This is a fun, danceable album and I recommend it to everyone. You can read the full album review here and our review of her concert here. Wayne Shorter’s return to Blue Note after 43 years is an astounding piece of modern jazz. This is fiery jazz, the kind that forces you to sit up and take notice of it. Not only is it of unparalleled technical proficiency, but the band members are almost psychic in how well they play off each other. They’ve been working with each other for over a decade now though, so I suppose that is only to be expected. Although this is beautiful jazz, it may be a little too obscure for people new to the genre. 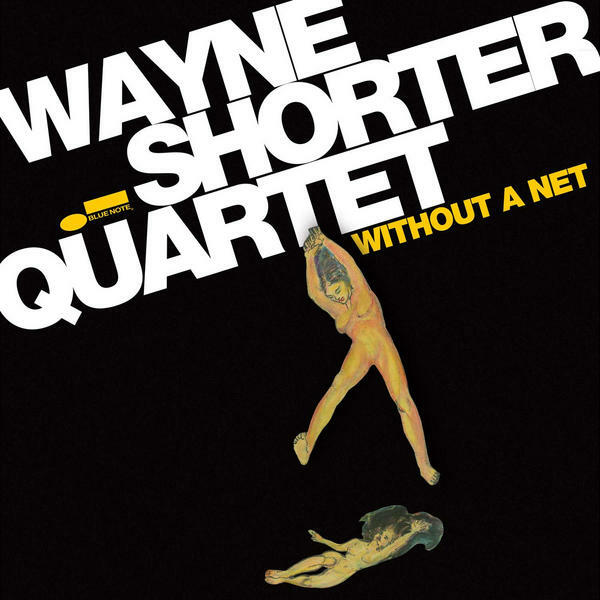 For anyone who has heard Wayne Shorter before though, not having this album would be a sin. For those still on the fence, the full album review is here. Each of my final three albums is an emotion and this one is happiness. This is a fun album to listen to and a fun band to watch. There’s none of the pretentiousness that characterizes so much of the indie scene. This is a very varied and consistently excellent album and doesn’t feel the need to shove the fact in your face at every turn (I’m looking at you, Arcade Fire). It’s hard to single out any songs in particular, “Honey & I” feels like Stevie Nicks at her best, “My Song 5” has an incredible bass riff, “Running If You Call My Name” is heartfelt, all of their songs are worth talking about. This is the band that loves making their music as much as I love hearing it. We’ve already put “Falling” on our album review and “The Wire” on Neeharika’s Top Five Songs of the year, so for this list you get “Don’t Save Me”. If you’ve never heard the album, then it’s hard to explain why this album is so important. After all, indie musicians borrowing heavily from past music is nothing new and this is just Joy Division with a female singer. The thing is though that this album is very, very good. Painfully, brokenly good. Each of these last three albums is an emotion, and this is depression. This album burns with a searing, undecorated intensity. Jehnny Beth screams and taunts throughout while the rest of the band perform their bludgeon-work upon your prone body. This is not a subtle album, an album with whom you can reason and share quiet moments by the fireside. This will shout at you, often just a single word, and you will listen because you know that the rest of the day is just going to be a pale echo of those submissive moments. 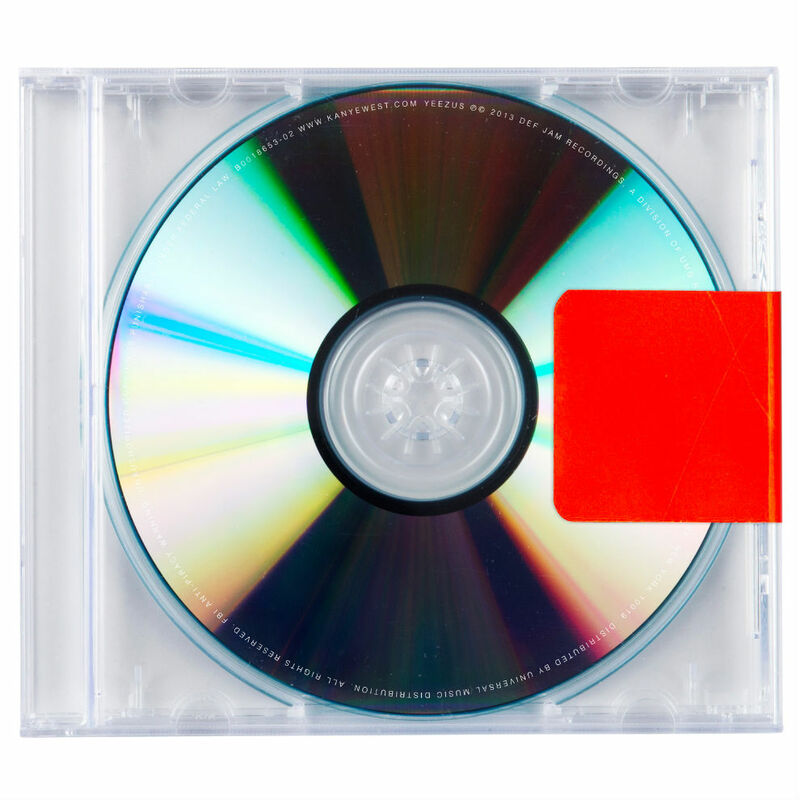 Yeezus (full review here) is Kanye at his biggest, his most brash, his funniest, his most aggressive. My Beautiful Dark Twisted Fantasy is still probably his best album, but that did not make the sort of statement that Yeezus did. This album’s emotion is anger. Leaving aside the refusal to release singles until well after the album released, the music is intentionally difficult, the lyrics intentionally off-putting. Discomfort is the aim, but not without reward as well. “I’m In It” for instance is some of the most menacing music I’ve heard this year, but has no problems juking you with unexpected comparisons and a mention of swag-hili. It is then followed by the exceptional “Blood On The Leaves”, which samples Nina Simone’s cover of “Strange Fruit” beautifully. “New Slaves” is rage coalesced (and fully reviewed here) as “I Am A God” is hubris. Every line in “Black Skinhead” is a call to action. Even “Bound 2” makes for an excellent closer. You can see the work, the brilliance and the anger behind every line. You can, in fact, see Kanye West. Janelle Monae always seems constrained. That feels like a strange word to label someone whose music defies every label applied to it, but it is the only one that seems apt. She has music, she has art and she has videos but none of those mediums seem able to completely hold all that goes on inside her mind. It was inevitable that her seven-part concept series Metropolis would be science fiction based as nothing else would fit the relentless degree of innovation that she pushes. Her latest installment, The Electric Lady, which serves as parts four and five, breaks away from her previous works to give us something personal, something new and something that truly lives up to the name Wondaland. The first part feels more familiar, with an orchestral overture opening the album as did The Archandroid and the same jazzy pop and solid beats as her masterpiece debut. This time around she has a solid set of supporting artists. The keyword here though is support. Even Prince, who appears on the first song is clearly the guest in what is completely Janelle Monae’s album. Both of her singles, the excellent Q.U.E.E.N. (featuring Erykah Badu) and Dance Apocalyptic come from this half. This is music meant to be danced to, and while I can’t dance anything like her, I can’t sit still with music like this on either. The world of Metropolis is sketched out by things like the beginning of Q.U.E.E.N. and fragments embedded throughout the album. The picture is still vague and while Cindi Mayweather (the Ziggy Stardust to Janelle Monae’s David Bowie) has definitely progressed along her path of becoming the android messiah, I couldn’t tell you exactly what she has done. This is an album though, not a novel, and the details are unimportant. What is important is the flights of imagination that it inspires and this set provokes creativity as well as anything I have ever experienced. Also, the DJ interludes are incredible. The second half however is more of a soul album than anything else. This takes me pretty far out of my comfort zone as my foundation is far stronger with Asimov than with Sly, but her music is undeniable. This part showcases her voice, and while it is hard to isolate any single strength of Janelle Monae’s, her voice certainly has a good case for being the strongest of them all. It also gives her a chance to get a little personal than her android alter-ego had previously allowed. Suite V feels not only like Cindi Mayweather singing to her human lover but also a love letter to the classics of soul and funk. She does play with the standard structures and even drops a rap into the stellar Stevie Wonder-esque Ghetto Woman, but this an album from someone who clearly grew up with a love of the R&B greats. This is an intimate, soulful performance and would hold it’s own even if taken alone and not as a part of a larger set of work. The Electric Lady is not just an album about the future, it is a blueprint for the future of pop, funk, soul and whatever else Janelle Monae decides to touch. While The Archandroid did push harder and better, this is the work of an artist that has moved far enough ahead that she can take a moment to stretch a little and look back on what she has come from. We are lucky that she shares it so well.